A young, fit and healthy person with seemingly good vision will probably assume that because they don’t need glasses or other forms of vision enhancement in order to perform day-to-day activities, they don’t need them for sports. What they don’t realise is that if they were to get an annual eye exam and get the vision prescription that they might need, their sport performance would be significantly enhanced. An eyesight test will not only determine a need for prescription glasses, but it can also detect diseases, such as diabetes and high blood pressure. Moreover, an eye examination will assess your eyes’ ability to coordinate with each other, and gain a general indication of your overall health. All of these are factors that could have a significant impact on your wellbeing and your ability to perform to your highest potential in your chosen sport. The wellbeing of your eyesight can improve your athletic performance by enhancing three functional areas essential for optimal athletic participation. Depth perception is the function of the eyes that provides our brains with information about distance. It is a highly required function used in a plethora of sports, such as downhill skiing, where skiers must judge upcoming jumps or obstacles, or racquet sports like tennis, where you need to think quickly and make a call about how far you are from the ball, your opponent, boundary lines and the net. Depth perception is immensely important, and could be the difference between a game, a set, and even a match. An eye exam could open an avenue for you to have the correct vision treatment, and thus experience improved eye-tracking ability. Eye tracking refers to the eyes’ ability to follow and anticipate movement, such as a bouncing basketball or football. This should lead to a quicker response time and overall improved performance for sports people. Obviously, hand-eye coordination is essential in any sport, however, sports that require adapting to balls coming towards you at various speeds, such as tennis or baseball, and then having to respond, need excellent hand-eye coordination. Vision problems could greatly affect this, which highlights the need for regular eye examinations. 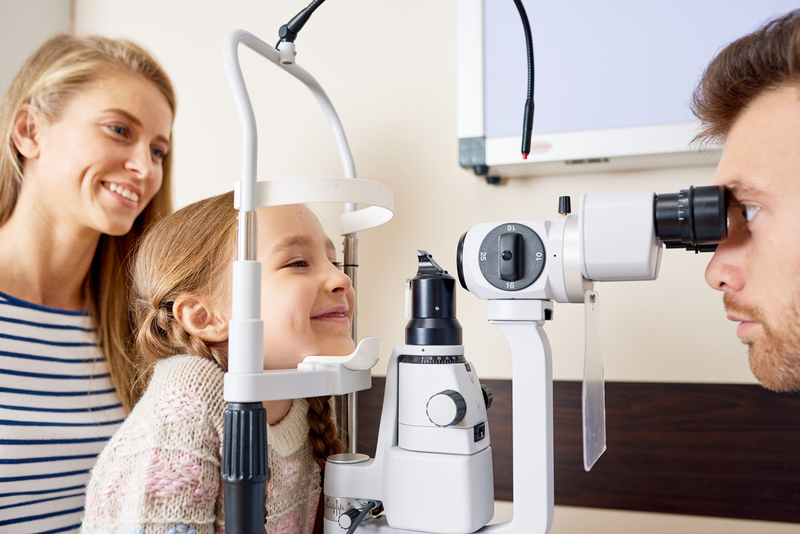 A proper eye examination is performed to detect a myriad of eye conditions including; Myopia, Astigmatism, Hyperopia, Esotropia, Deuteranopia, and Keratoconus. There is a wide array of options available for the correction of vision in people in all fields of sports, such as sports sunglasses, contacts lenses and sports goggles. Contact lenses worn during the night can temporarily correct vision the following day and result in an unobscured vision during the day. This is a non-permanent, pain-free and safe solution, which could help to improve your sporting performance.